In the summer of 2006, I moved my family from Brooklyn, New York, to St. Louis, Missouri, and began searching for the right learning community for my children and myself. On the heels of teaching in Middle Years Programme (MYP) and Diploma Programme (DP), I found that most urban schools were expecting minority students from low socio-economic communities to consume knowledge and not inform it. I started my own inquiry into school design. What if we offered the most engaging, academically rigorous education to an intentionally diverse community and made it free for all students? What if all children had access to the same education as children of world leaders? If they all learned to be bilingual and see the world through different eyes? If they saw themselves as change agents in their communities now instead of waiting for others or older versions of themselves to take action? When I founded St. Louis Language Immersion Schools (SLLIS), our vision was to create a total immersion, IB continuum school network of public schools. Our first three elementary schools, The Chinese School, The French School, and The Spanish School are authorized for the Primary Years Programme (PYP), and the secondary campus, The International School has begun their candidacy for MYP. 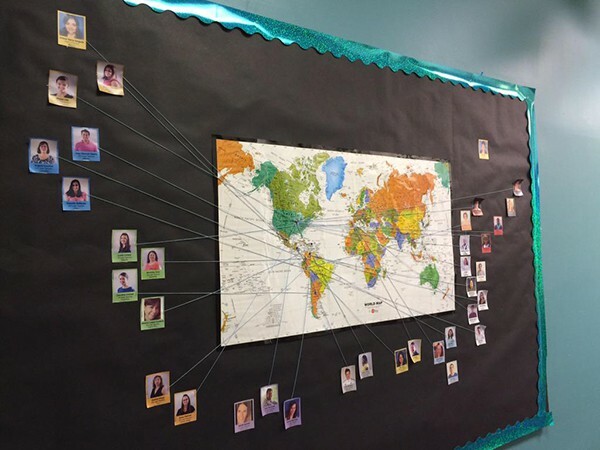 All schools represent an intentional commitment to diversity: Title I, ethnic diversity that mirrors or exceeds that of our region, language and country of origin diversity, and family composition diversity. And our teachers respond with relevant text-life connections and extend opportunities for age-appropriate action. Our grade two students are given their first action challenge as part of their unit on rights and privileges. Teachers ask what rights the students want to advocate for. Students identify rights, who they would need to lobby (siblings? classmates? teacher? parents? administrators? ), and then embark on a campaign for change. When our second and third grade cohorts make sophisticated arguments for changing the uniform policy, adding multi-stream recycling, or using lockers, our adult community encourages them and engages in real-time conversations for change. Look where SLLIS’s staff come from! One of our first fifth grade exhibitions opened with a student from The Spanish School asking about fear. She began with a pie chart that revealed the most common fears: clowns, barking dogs, abandoned houses, and scary movies. Number one fear? Abandoned houses. Then she adeptly shifted to a map of GIS data depicting the number of abandoned houses in our city and shared her first conclusion: this means that people are afraid to visit my neighborhood, and residents, may be afraid to come home. She then linked the census track with the highest concentration of blighted property and correlated it to personal crime that revealed higher rates of crime in these neighborhoods as well. She continued with examples of the same phenomenon in other urban areas across the country. What can we do about it? Invest in neighborhoods with services—fill the vacant properties with schools, community centers, art projects, give people something to come home to, all in the name of reducing their fears about urban communities. Yes! This was exactly the type of reflection and attention that will prepare our urban student population for greater access and attainment of post-secondary studies and career paths. When we talk about the success of IB World Schools in improving excellence and equity for a diverse population, let’s remember that this goes beyond performance metrics. What are the ways in our schools and classrooms where low-income and/or minority students are expected to lead purposefully? Where they are confidently challenging the text, their peers, their teachers, themselves? Where they are marrying analysis and action? Let’s share the stories of students who are changing their world because of inquiry-based learning. The agency and advocacy that students develop in PYP schools is an essential step in bridging the equity gap. Rhonda Broussard (@broussardrhonda)is the founder and former President of the St. Louis Language Immersion Schools. 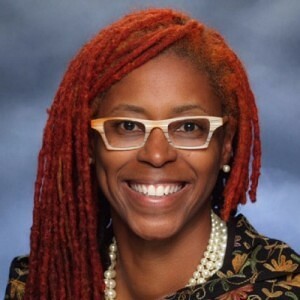 She is a professional inquirer who has founded a network of IB schools and a language education non-profit, conducted language and culture research in Cameroon, France, and Martinique, held National Board certification, and has taught in secondary schools across the US.